The Federal Communications Commission has taken another step toward making the cable box obsolete, voting to approve a proposal that will open up pay-TV programming to more devices. Under the FCC’s proposal, any device maker would be able to grab a TV signal coming over a cable and integrate it with their device’s own apps and interfaces. Apple, for instance, could design its own software and hardware for watching live TV and DVR content, and Google could do the same with its Android TV platform. The FCC wants to create an open standard that makes this possible in a secure way. Still, the proposal is far from final. It now enters a comment period, allowing business and customers to respond in hopes that the FCC will make revisions. A final set of rules and vote is likely months away, The Verge reports. Why this matters: If the FCC follows through, the rules will afford subscribers the choice of continuing to rent their service provider’s equipment, or dump the clunky and expensive set-top boxes in favor of a third-party offering. 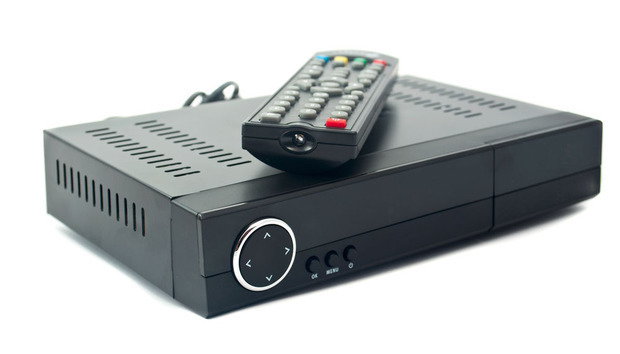 While some alternative solutions exist today—for instance, users can lease a CableCard and connect it to third-party DVRs like a TiVo—device makers are limited in how they can present pay-TV channels, and they must still rely on special hardware from the cable provider. There is also no CableCard equivalent in the satellite TV market. Opening up the signal is meant to foster more innovative software and hardware at lower prices. Cable companies have been vocal in their opposition to the proposal since the FCC first started discussing it last month. Publicly, they claim that an open standard would raise privacy concerns—for instance, a company like Google could be more aggressive about data collection—and that it would interfere with existing content deals, in which some networks pay for preferential placement in a channel guide. But of course, cable companies also collect a tidy sum from the existing system that affords them a near monopoly: the average U.S. home spends more than $231 per year on set-top rentals by one estimate. The FCC notes that set-top box prices have increased by 185 percent since 1994, while the cost of other devices—such as TVs, PCs, and mobile phones—has fallen by 90 percent. Still, the cable industry does have its own counter-proposal in mind, one that gives them greater control over where the cable feed goes and how it looks. Rather than opening the pay-TV signal to any device, cable companies want to build their own streaming apps for users to download. Time Warner Cable, Charter, and Comcast are all experimenting with box-free plans, but only in limited markets.